View More In Luggage Sets. 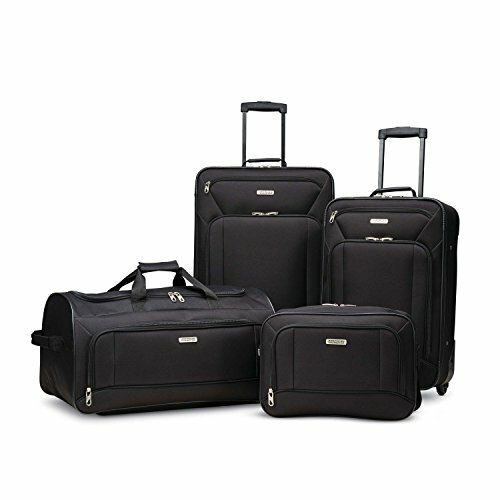 This American Tourister set is made of ultra-lightweight 600d shiny polyester construction. Rolls upright so there is no weight on your arm or shoulder, uprights have smooth-rolling in-line skate wheels for effortless mobility. Features reinforced corners defend against the harshest travel conditions and multiple interior and exterior pockets keep you well organized. Push-button locking handle is designed to fit comfortably in your hand. Multiple interior and exterior pockets keep you well organized. If you have any questions about this product by American Tourister, contact us by completing and submitting the form below. If you are looking for a specif part number, please include it with your message.